The index opened flat around 7942, and stayed within a very narrow range of just 28.60 points with volatility at the minimum and closed just above 7950 at 7954.35, gain of 18.30 points. This is the highest Daily, Weekly and Monthly close till date. The broader market though was negative, with 679 advances to 849 declines. The initial range at start of series comes to 7800-8200. Call option 7400-8500 added huge 55.55 lacs OI. Put option 8200-7400 added huge 42.30 lacs OI with small addition at 8500 strike price. 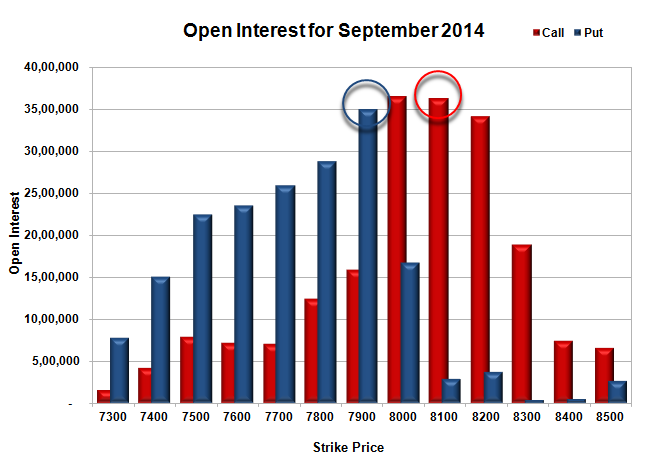 Nifty Open Interest is at 1,59,51,200 up by 50,81,000, with increase in price, probably huge long build-up. Bank Nifty Open Interest is at 16,13,725 up by 5,28,725, with increase in price, probably huge long build-up. FII’s bought huge 10.46 lacs Futures, which includes 2028 contracts long build-up and 70163 contracts short covering, with decrease in net OI by 68135 contracts (includes 155744 longs to 134820 shorts for the day) and the average price per contract comes to around 7979.99. FII’s Index future open contract as on date is 238845 Longs to 41850 Shorts, net long 196995 contracts. 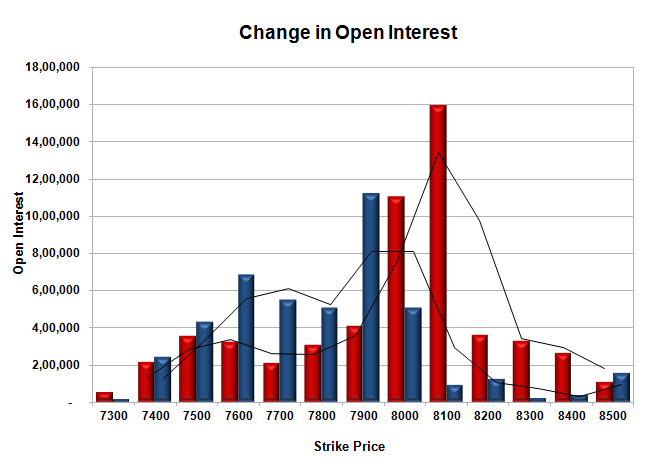 PCR Open Interest (Volume) at start of series is just below 1 at 0.961. Initial and best support at 7900, with huge OI of 34.95 lacs and below that at 7800 with OI of 28.8 lacs. Initial and best resistance at 8000, with highest OI of 36.50 lacs and above that at 8100 with huge OI of 36.29 lacs. 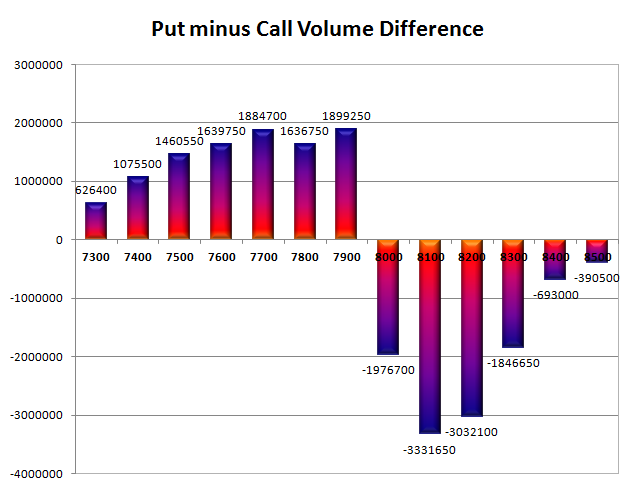 Day Range as per Option Table is 7910 - 7997 and as per VIX is 7900 - 8009 with 7954 as the Pivot.